Takes a bit of brain power but worth it. 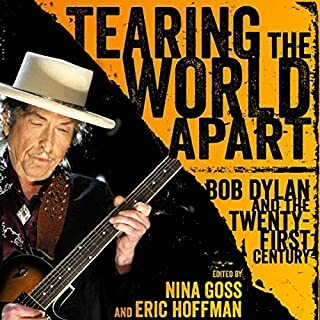 What I mean by the title is that the people who dissect Dylan's songs in this book are college professors's for the most part, and like most college professors, they get a bit "deep" at times.....lots of "big words. If you are willing to put up with that, it's well worth the listen Dylan is more than just a songwriter. He is a poet and a great one. 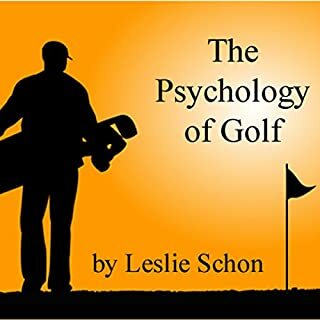 Though written many years ago, few books have equaled this little volume in explaining how the mind is so important in the game of golf and how psychological control and techniques can improve your game as much, and perhaps more, than improved physical techniques. We've all seen golfers with terrible form who do very well. They have the "mind game" if not the physical grace. For those who can put them both together, the sky's the limit. More head game than mechanics. Many good tips about your score regardless of physical skill. Well read and I enjoyed it very much. 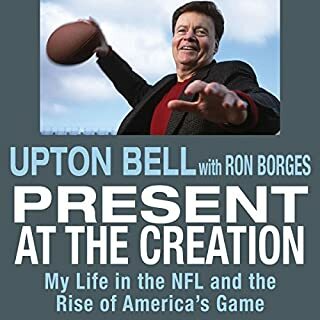 Upton Bell grew up at the knee of the NFL's first great commissioner, his father, the legendary Bert Bell, who not only saved the game from financial ruin after World War II but was one of its greatest innovators. Present at the Creation details Bell’s firsthand experiences. Over the past 53 years, Bell has been an owner, a general manager, a personnel executive, a scouting director for two Super Bowl teams, a television commentator and analyst, and a talk-radio host. He has seen the NFL from the inside and has experienced many of the most important moments in NFL history. For more than Football fans. 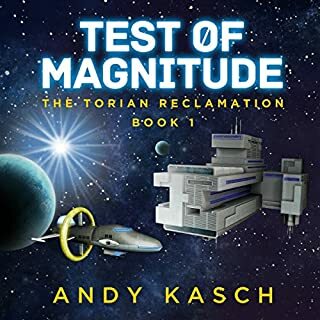 Where does Present at the Creation rank among all the audiobooks you’ve listened to so far? Inside info by an insider. Well done. Never lost interest. Mip 7 - likable alien. Did a good job with many voices. Not really. Just a lot of fun. Glad to see there ia a sequal. 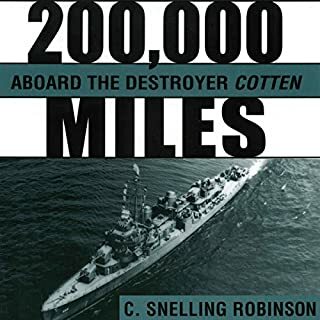 Would you consider the audio edition of 200,000 Miles aboard the Destroyer Cotten to be better than the print version? Yes. Never would have had the time to read print version. Listened during daily drives. What was one of the most memorable moments of 200,000 Miles aboard the Destroyer Cotten? Fascinating Real life story. Well read, too. One of the greatest mysteries ever written. I never wanted it to end. Loved the way the different sections were read by different readers. Some were better than others but the overall effect was excellent. W. H. Hudson was born in 1841 in Buenos Aires and seems to have been a sort of permanently displaced person. 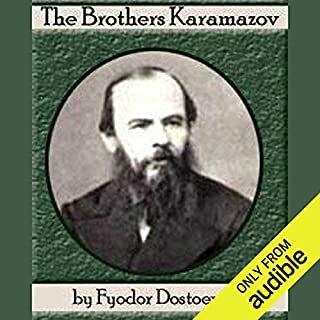 He moved to London in 1869 and wrote a series of remarkable books, most with a wilderness setting. 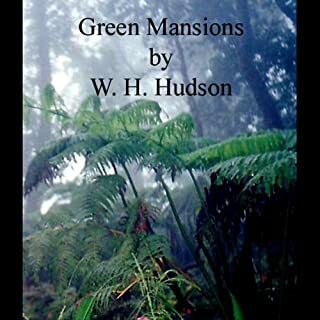 In 1904, when he was 63, he focused on an Indian legend for Green Mansions, a memorable romance of the jungle for which he is now chiefly remembered. His epitaph reads, "He Loved Birds and Green Places and the Wind on the Heath, and Saw Brightness of the Skirts of God." The type of story that transports you to a totally different place. Reader was good but had a bit of a Northern accent. This didn't bother me but I suggest you listen to the sample to make sure it's ok for you. 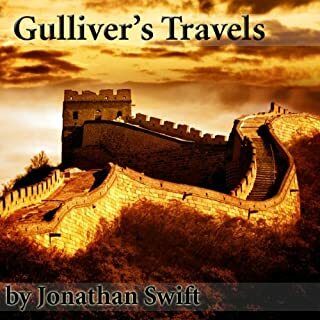 In 1725, Jonathan Swift published Gulliver's Travels, a book universally acknowledged as one of the most fantastic adventure stories and best satires on the human condition ever written. Excellent reading of this classic tale. Great Britain, circa 1985: time travel is routine, and literature is taken very, very seriously. England is a virtual police state where an aunt can get lost (literally) in a Wordsworth poem and forging Byronic verse is a punishable offense. All this is business as usual for Thursday Next, Special Operative in literary detection. 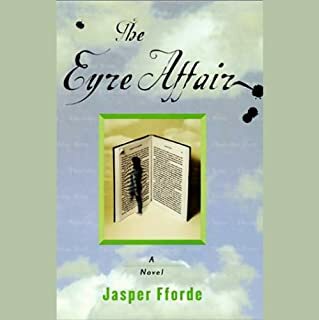 But when someone begins kidnapping characters from works of literature and plucks Jane Eyre from the pages of Bronte's novel, Thursday is faced with the challenge of her career. Terrific book. Very strange but very good. This is one of those life-changing books that has a profound impact on all who read it. On one level it is the story of a murder in which the murdered man's sons share varying degrees of complicity. However, it also has a deeper level. It portrays the spiritual drama of the characters moral struggles between faith, doubt, reason, and free will. Wonderful story, though not exactly light reading. 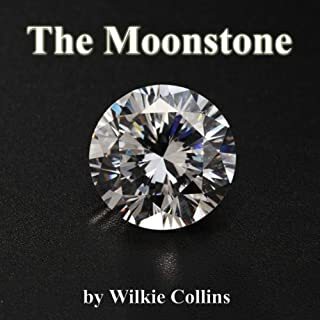 Walter Covell is one of my favorite readers and he did his usual excellent job. Five stars.